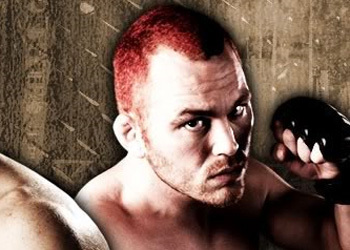 With only two weeks to prepare for UFC 116 following his win over Aaron Simpson at “The Ultimate Fighter 11 Finale,” Chris Leben took full advantage of the opportunity that was presented to him by submitting Yoshihiro Akiyama. Immediately after the win, Leben called out the man who he replaced, Wanderlei Silva. It was Silva’s rib and knee injuries only two weeks prior to UFC 116 that allowed Leben to step in on short notice. “Wanderlei was supposed to take this fight, I want him next,” said Leben. As a 2-to-1 underdog coming into the bout, Leben showed the toughness fans have come to expect. He completely wore the Japanese-Korean out before locking in a triangle choke with only 20 seconds remaining in their contest. After 16 Octagon appearances and 11 UFC wins, Leben’s stock has never been higher and a bout with “The Axe Murderer” may be warranted. For now, Leben has become a true fan favorite by stepping in at the last minute to save UFC 116’s co-main event.